Next PostLibido and pregnancy: an impossible marriage? Up until 2009 when I was talking about it I hadn’t found good jokes about my sexuality. And that’s the only reason why I never really talked about it. 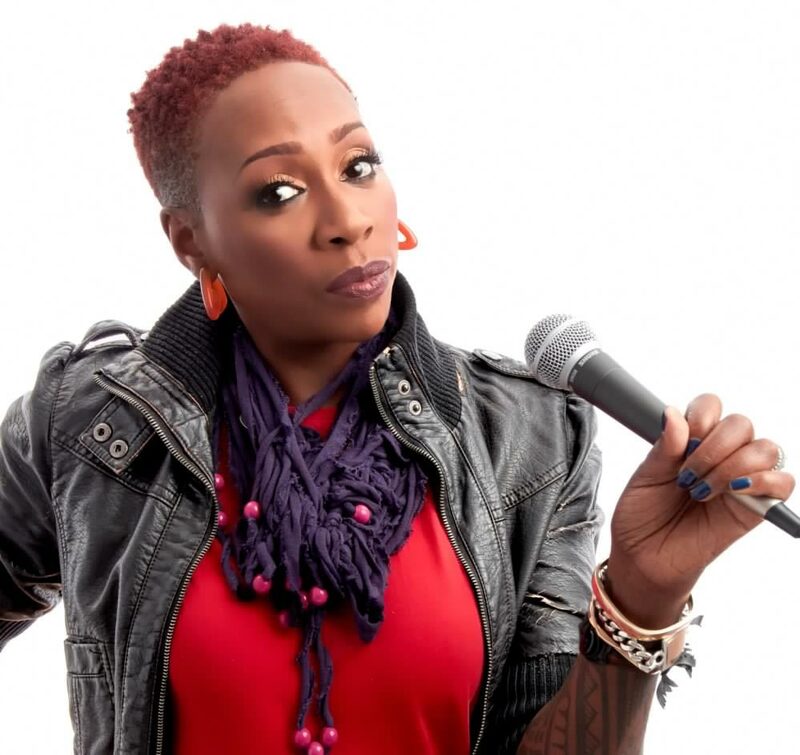 Stand-up comedian Gina Yashere, the daughter of Nigerian parents, was born and raised in London, England. She is now based out of the United States where she moved in 2007. We had the opportunity to meet her in Montreal on the occasion of her sixth participation in the Just For Laughs Festival. 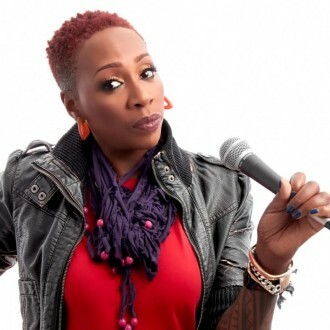 She is a black woman, a lesbian and has been doing comedy around the world and on television for the past 20 years. Her « plural identity », on which she prides herself for not being reduced to a single “label”, allows her to discuss a variety of topics and issues. 1- I read that you “came out” on stage in 2009. How did that go? I never came out in 2009, not as far as I know! 2- I think it was at Dinah? Oh yeah, I did Dinah Shore. Of course. It wasn’t really that I “came out”, I just happened to be in front of a lesbian audience and so I talked about the fact that I’m a lesbian. It’s never been anything that I’ve hidden, but it’s never been anything I’ve talked about extensively either, because I just don’t see it as something that should be a big deal. 3- Is it because you don’t want to talk about it or because you just want it to be considered ‘normal’? In showbiz, or in life, you get labeled a lot, but in showbiz it’s particularly prevalent that they’re always trying to put you in boxes. And being a black, female, stand-up comic I was already in two boxes. So I didn’t want to be just labeled as “the lesbian comic”. So I never made a point of going on about the fact that I was lesbian, or the fact that I’m female or the fact that I’m black. I just talk about myself, I’m just me on stage. I just do observational stuff about me and my upbringing. But obviously, I’ve been going for 20 years now so, over the years, I’ve talked about more and more aspects of my life, and being a lesbian is a part of it. 4- So what are the topics you talk about the most? A bit of everything. Anything that comes to my attention. I talk about some of the countries I’ve travelled to, about race, about making racial profiles, I talk about my parents and my family and were I came from, the experience of being a British person living in America and my views as an outsider. Basically my stand-up covers all aspects of life. It’s not just about one thing. I’m not just a black comedian talking about race, I’m not just a lesbian comedian talking about being a lesbian, I’m not just a British person talking about Britain. I talk about everything. It’s my life through a lens. If I can make it hilariously funny and different, then I’ll do it. I’m completely free on stage to talk about whatever, because I’m not hiding anything, I’m just completely free. 5- In your personal life, was being a lesbian in any way complicated? With your family, your community or your co-workers? I am who I am, I’ve never hidden it. My family was actually quite accepting, even my mum who wasn’t that happy about it. I’ve never had issues with my family wanting to disown me or anything like that. And my friends never had a problem. In my career I didn’t come out for a long time because I didn’t want to be labeled. It took me a while to talk about it publicly because I thought “oh boy”, I’m giving them another box to put me in. But then I got to the point in my career where I’m past caring. I am what I am, you take me or leave me. I’m good at what I do, I’m funny and if you’re not going to come to my show because you don’t like my lifestyle, then it’s probably best that you’re not at my show anyway, because I’m not the type of comedian that will hold back on my opinions. 6- Are you aware of whether or not you have a LGBT specific audience? When you come to any live show of mine you’ll see black people, white people, Asian people, Indian people, old people, young people, gay people, straight people, trans people, and that’s what I love. I love the fact that I’m funny to everybody and not a specific audience. I don’t cater my comedy specifically to anyone. My comedy is very inclusive. It’s all fun, and nobody’s uncomfortable, and that’s how I like it. So that’s what you expect when you come to my show. It’s all about complete freedom and being who you want to be. There aren’t many comedians – black, female, lesbian comedians – that can attract a crowd as diverse as mine. I’m bringing people together in laughter!